Marmari Surf Club and Beach Bar is located at a spot of unique beauty and unmatched wind conditions. The surf centre is located on the beach and just five minutes drive from the small fishermen village of Marmari. In front of the surf club is a big sandy beach with plenty of space to set up your equipment and land/launch your kite. Highlight of the spot is the amazing sunset and the view to Petali Islands complex. 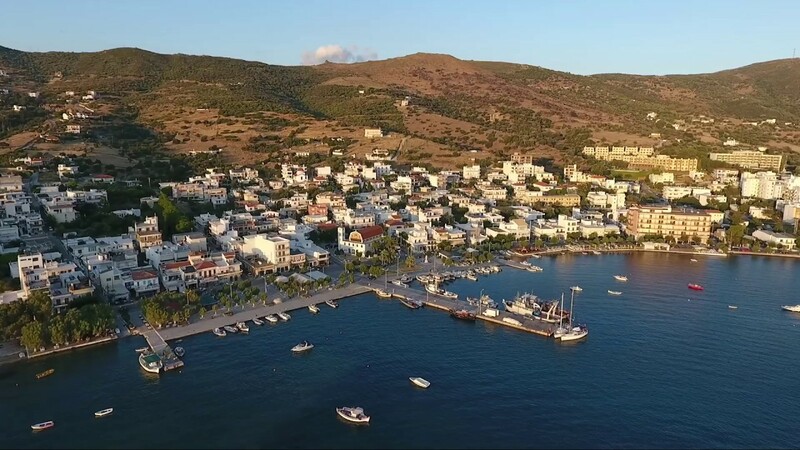 The little village of Marmari in the south of Evia island is a tourism destination recently discovered by European surfers who mainly want to relax in a quiet multi activity destination, enjoy fresh and delicious greek cuisine and pure nature. Night life in the area of Marmari is quite nice and not very loud. There are a few bars that play international music and serve fresh made cocktails. In Karystos, located 15 minutes drive from Marmari, there are many bars and plenty of people both tourists and locals that party till the sunrise. In Marmari Surf Club Beach Bar we organise sunset events every Friday and Saturday, and a few bigger music events through the summer. Marmari Surf Club and Beach Bar is one of the most guaranteed wind related destinations in Greece. Due to the shape of the mountains surrounding the village of Marmari and the small straight in between Evia island and Petali islands which create a Venturi effect. It mainly works with Meltemi (northern) wind. You can expect winds from 15 to 35 knots. So, 12 to 7 meter kites would be a good choice but mainly 9m is a common used size. The spot also works with South, West and North West winds. An important note is that Karistos which is the biggest city in the area and 10 minutes drive from Marmari offers a 20km coast line with beautiful blue waters and nice waves when south wind blows.